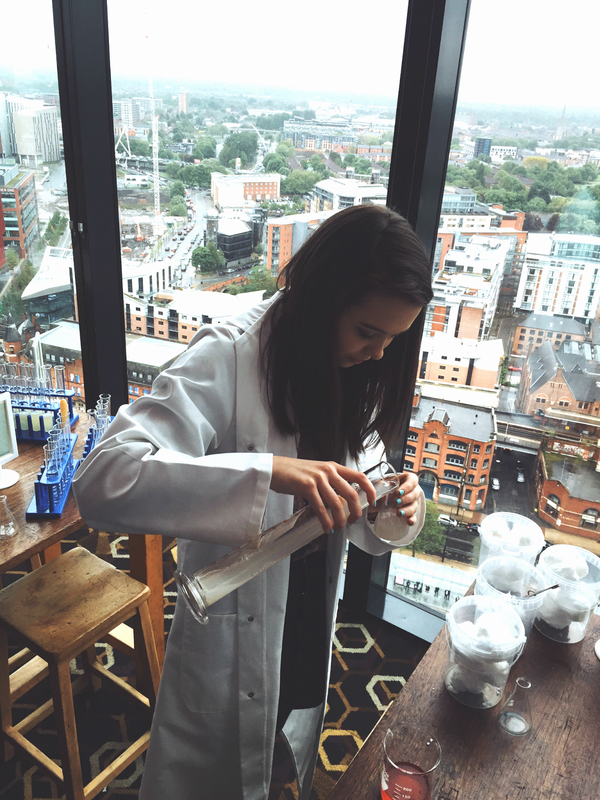 We took part in the Cocktail Masterclass where we created a yummy alcoholic drink using Science themed equipment (and a fab lab coat). I think the concept is fun and would be amazing for a group of friends to do to break up the night! 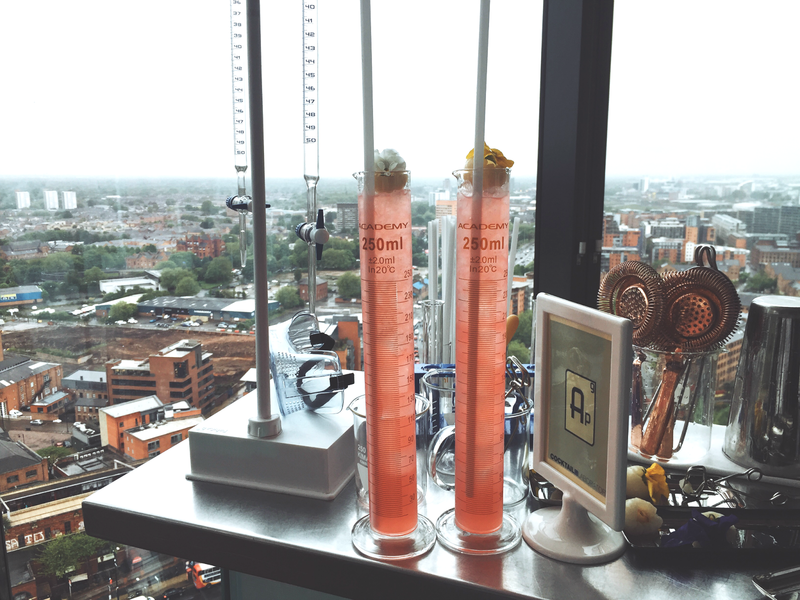 This is our finished cocktails after mixing and adding different drinks to the mix, they tasted amazing too! 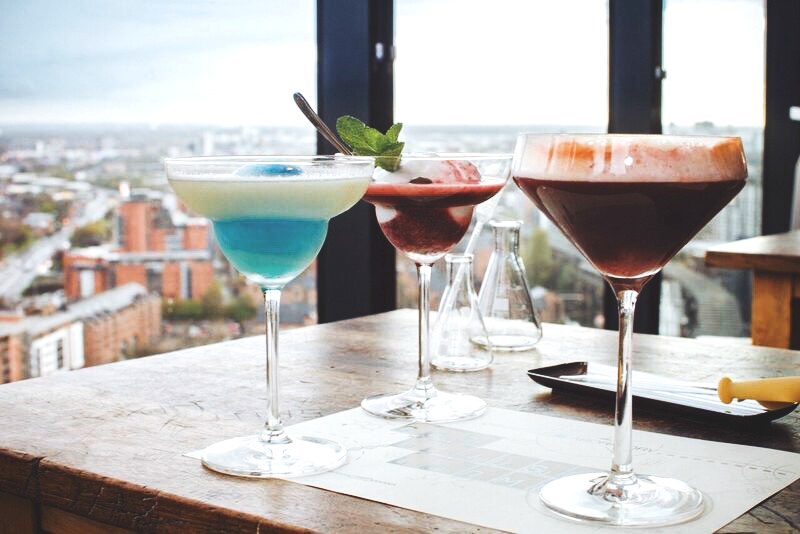 There are three different types of cocktails you can learn to make called 'Project X' 'Daiquiri 2.0' and 'Vertigo'. 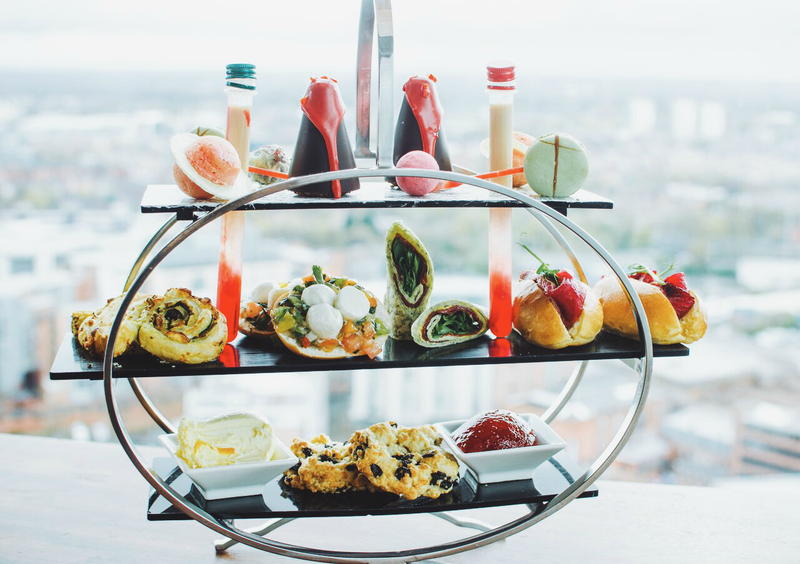 The Science Lab Afternoon Tea is available for £30 everyday from 12pm - 5pm until the 29th August. It was absolutely delicious! I actually felt quite full after eating the most of it, it was just the right amount to have so I could keep room for drinks! My favourite's were the Logarithmic Spiral of spinach, feta and basil pesto pinwheel along with the Archimedes mozzarella and tomato salso mini bagels! Of course, the dessert was my ultimate favourite and I loved the Lunar Moon Rock Cakes! They look so good, and sounds like a fun experience! I don't drink, but these look ever so tasty.